One of the nicest things about publishing a book is watching it travel the world. 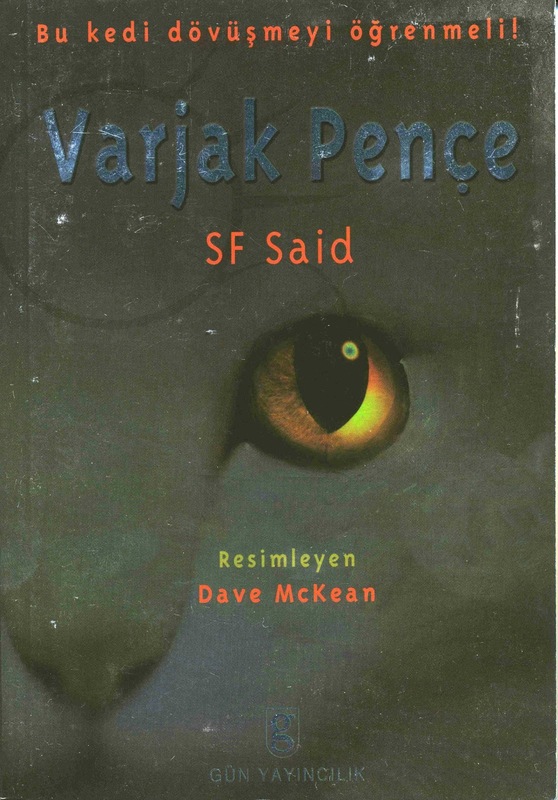 Varjak Paw has been translated into many languages; there are many editions around the world, and I've been doing a series of posts about them all. 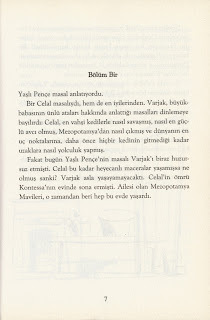 This week, I'm looking at the Turkish edition of Varjak Paw, where he's called Varjak Pençe! 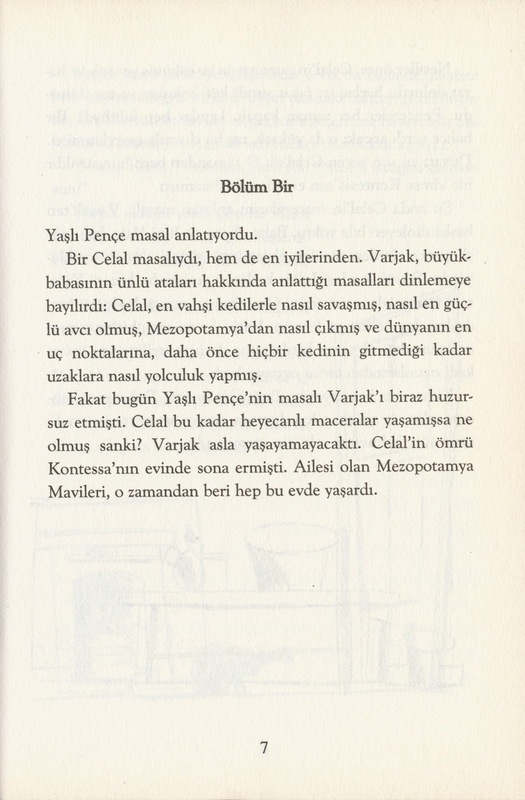 Apparently 'Pençe' means 'Paw' in Turkish, so that makes sense. This edition of the book is printed on a special kind of foil paper, so it's quite glittery in real life, but very hard to scan. Apologies if it looks a bit dark! Here's the back cover. As with the German edition, the Turkish publishers decided to switch front and back around, which is fine with me, as I love them both! The interiors are the same as the UK edition, with all of Dave McKean's fantastic artwork. 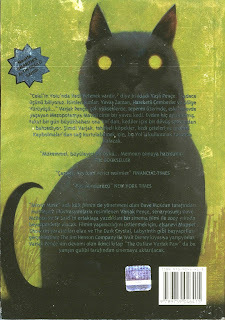 Hi, I've just finished reading Varjak Paw, and I loved it! It was so good that I went straight out and bought The Outlaw. It's an incredibly well rounded story with well defined themes. 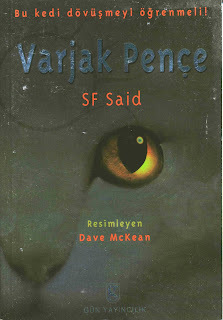 I'm a turkish speaker and would love to have a read of Varjak Paw in turkish to see how good the translation is. Where can I get hold of a copy? Hi Tufan! Thank you so much for your lovely comment, that really means a lot to me, especially coming from another author... And thank you for offering to read a translation, that would be amazing!